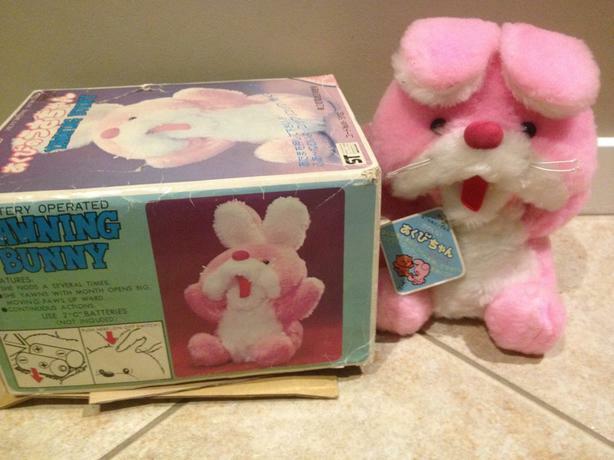 Adorable collectible bunny. Yawns! See video.